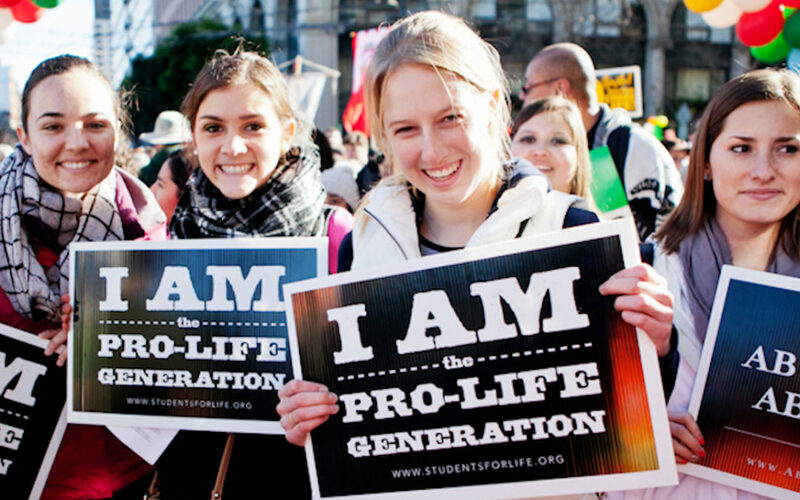 A crowd of upbeat pro-life supporters, some from all over the country streamed the streets of downtown San Francisco Jan. 26 carrying signs and calling for an end to abortion. The 15th Annual Walk for Life West Coast marked the 46th anniversary of the U.S. Supreme Court’s Roe. v. Wade decision legalizing abortion. The event kicked off with morning Mass at St. Mary’s Cathedral celebrated by Archbishop Salvatore J. Cordileone, pro-life speakers and the amplified fetal heartbeats of seven babies whose mothers stood on the event stage holding bullhorns connected to their pregnant bellies. Me and other pro-life leaders were interviewed by EWTN. St. Gianna Beretta Molla (1922-1962) was an Italian pediatrician who refused both an abortion and a hysterectomy while pregnant with her fourth child despite knowing that the decision could result in her own death, which it did. Other speakers included abortion-survivor Patricia Sandoval, Issues4Life founder Rev. Walter B. Hoye, president of Human Life International Father Shenan Boquet and Abby Johnson. Johnson had two abortions, and today heads And Then There Were None, a ministry to help former abortion industry employees leave the industry. Abby is the subject of the movie “Unplanned,” The True Story of Abby Johnson. The movie will be in theaters nationwide March 29, 2019. We caught up with Abby Johnson, Rev. Walter Hoye, and Father Frank Pavone of Priests for Life. Very little pushback from the pro-abortion side. A great pilgrimage to the belly of the beast, the City by the Bay that has spawned so much moral and social evil, and yet boasts of beautiful architecture and stunning vistas. Don’t forget to Subscribe to the show in YouTube, as well as the podcast available in iTunes and other podcast directories, while you are there, please leave an honest review. Ratings and reviews are extremely helpful and greatly appreciated!